The only definitive resource on enzyme therapy by the nation's leading expert, a pioneering medical doctor who has used enzymes to treat allergies, asthma, fatigue, chronic pain, and many other ailments-with astonishing success! The scientific evidence continues to mount, pointing to enzyme deficiencies as the cause of a vast majority of health problems. 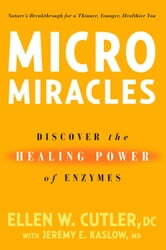 In this important, groundbreaking book, Dr. Ellen Cutler-who has been prescribing enzymes to her patients, and taking them herself for more than 20 years-shows readers how to assess their bodies' unique enzyme needs and create totally personalized enzyme regimens. 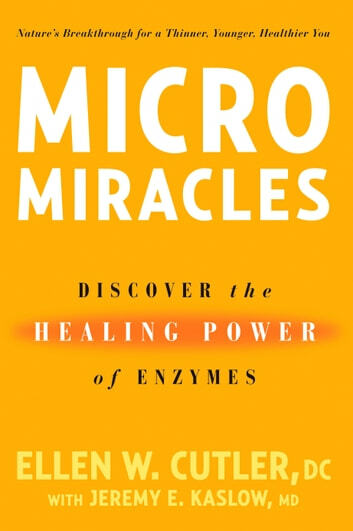 MicroMiracles promises to be the most complete, authoritative resource on enzyme therapy, which a growing number of health professionals identify as the next frontier in medicine and self-care.